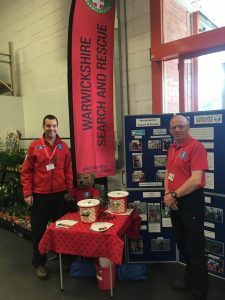 I’ve been asked to write a new blog for Warwickshire Search and Rescue, so I’d better start by introducing myself. I’m Howard, I’m the team’s latest recruit. I’m going to be taking charge of fundraising. I’m super excited about it. It’s a really important job: outside of the Coastguard and the Fire Brigade there is no regular funding for search and rescue in the UK. Every team has to raise their own funds from the RNLI to Mountain rescue and all the Lowland Rescue teams in between. I’ll be blogging here on a regular basis to let you know where team members are going to be to out meeting the public and raising funds to keep them able to do their work. Warwickshire are still quite a new team. We’ve got the basics we need to need to get the team started and they are looking for grants to buy the other big items, but they still need money to cover the running costs. 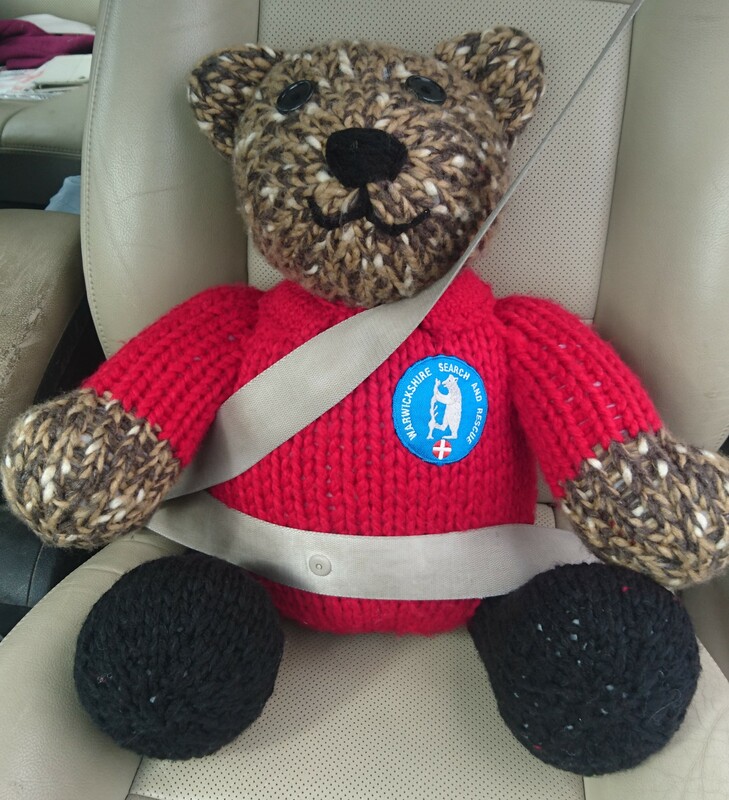 I’m going to be going out and about with the team thanking you for everything you do to help us and dispensing hugs wherever they are needed. I’ve been out once already, on an induction trip. I met two members of the kayak team and two members of the dog team. They were all very friendly. I really liked the three human ones, but I was a bit worried about Merry. She has so many big scary teeth, but she never got them out. Instead she had a good sniff and wagged her tail. She’s such a gentle dog. She can follow a trail a long way to find people. The team have been out helping people recently. They were marshalling at the Wolf Run on the 3rd and 4th June. You would have encountered our team members on obstacles like the Nutcracker (or logs of love, as Tess renamed them) and the climbing wall. 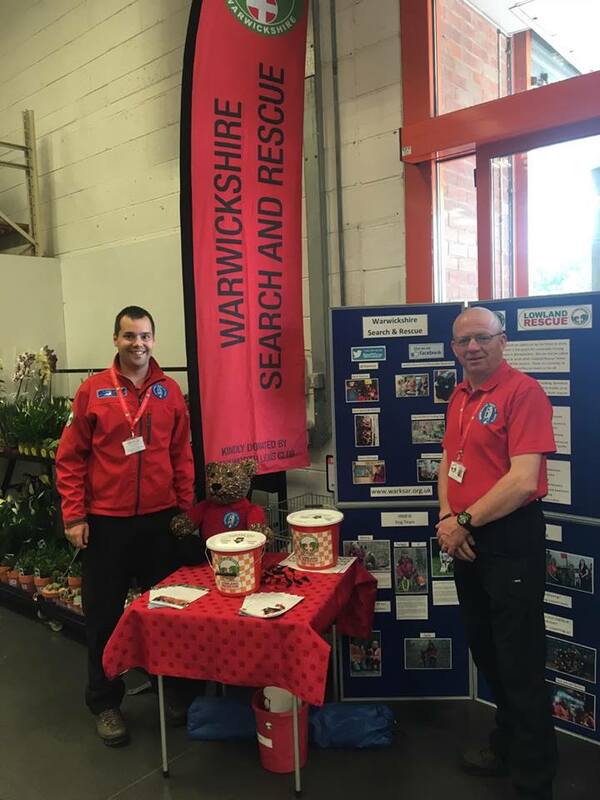 I went to the Brandon B&Q, Coventry, on Saturday 3rd July with Nicky and Mick. On the 10th we were at the Sausage and Cider Festival in Bedworth. On the 11th the kayak team was providing water safety at the Avenger Triathlon while the rest of the team were on a training exercise. In the next few weeks I’ll be going to Stratford Race course, the Whitnash Community Fun day and the Leamington Victory Motorcycle Club Trials. I’m looking forward to meeting you all soon.